One Piece Wallpaper: Is it a crime? 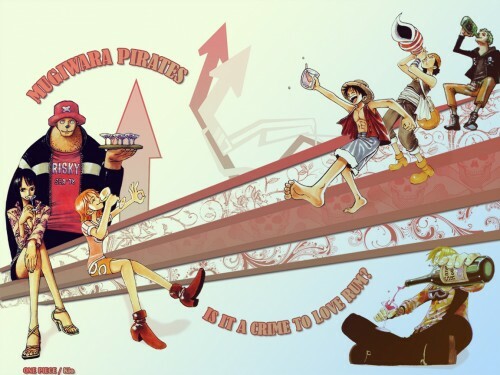 Minitokyo »	One Piece Wallpapers » One Piece Wallpaper: Is it a crime? I like the white version more :) Waiting for the new wall! Love it! Heh, I will never not love the fact that pretty much the entire crew is comprised of happy boozers. Thanks for making, and I'm totally downloading. This is The best man ! u the best ! Come Pi . I like one piece party. I like a lot they continue ahead it is a great project spirits..
resolutions this if it is good..
lets get your rum and join the party. .yeahh!